At the end of the two day official ASBK test it was Wayne Maxwell who could beat his chest as the fastest Superbike rider on the grid, after setting a 1:32.312 during the final day’s morning session. Wagner put in a notable final session of the day, setting a late 1:32.451 to post the second fastest time of the test, while close behind was the man who finished third last year in Troy Bayliss, followed by Josh Waters and Daniel Falzon. All bar Falzon and Wagner set their fastest times in the opening session of day two, before the heat really set in. Defending champion Troy Herfoss meanwhile was sixth fastest, with Bryan Staring, Cru Halliday, Glenn Allerton and Mike Jones rounding out the top ten on the combined timesheets. See below for individual sessions and the full combined testing times for the weekend. By 10am Sunday morning, the air temp was over 24 degrees at Phillip Island, with the track temperature already nudging 36 degrees. That meant that with the forecast saying it would only get hotter, it was vital to get the times in early as most expected the track and tyre performance to drop off as the temperatures rose and the day wore on. 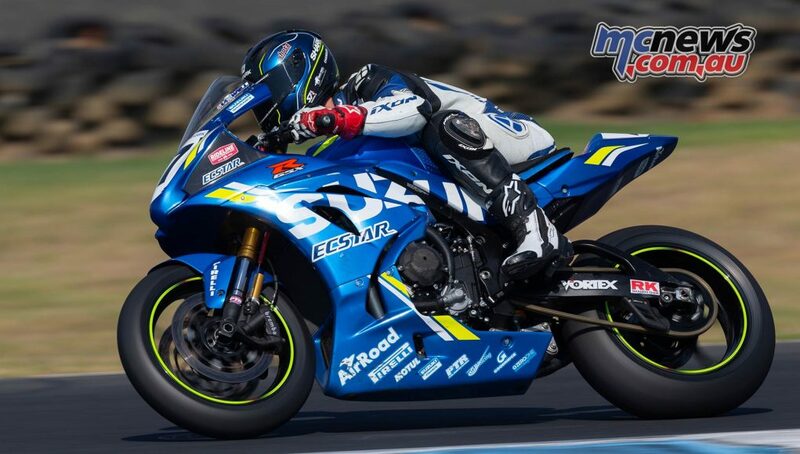 The first session saw Maxwell kick the day off well and continue his form, topping the sheets again with a blistering 1:32.312, which was only fractionally outside Troy Bayliss’s lap record of 1:32.224. There were four other riders under the 1:33 mark for the first session of the day, with Bayliss, Waters, Wagner and Herfoss all claiming that honour. There was then a further one second gap back to Halliday in sixth. 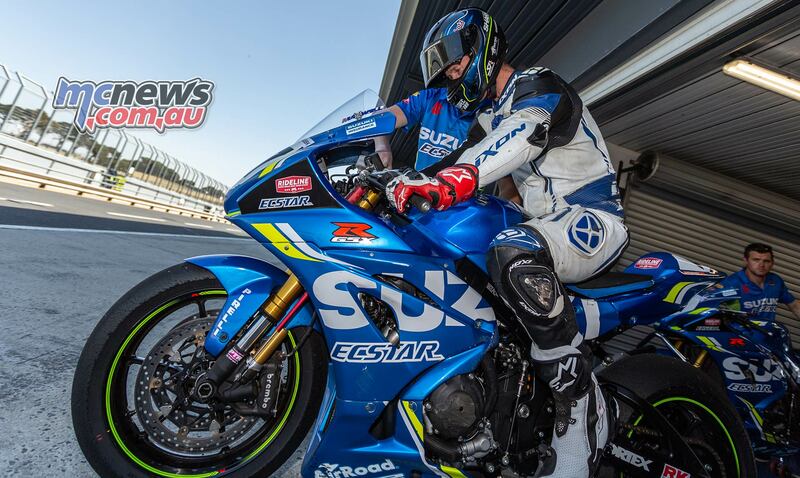 The second session was held just before the lunch break and saw Bayliss return to the top of the timesheets, while a multitude of consistent laps from Falzon propelled him into second for the session. Wagner and Maxwell completed the top four and these were the only other riders to also descend into the 1:32s for the session. The consensus of those that were asked is that they were all still trying to find a setup to suit the new Pirelli tyres. All bar Bayliss, who basically just adapted to the new tyres well. To me, that gives an indication of the man’s adaptability, a skill that would have been honed on those many laps in the Superbike World Championships where a new compound or new profile change from either Michelin or Pirelli was more common than many changing underwear! By the time the third session of the day commenced the track temp was over 55 deg with lap times dropping by over a second across the board. Daniel Falzon topped the time sheets for the first time, as he set the benchmark of 1:33.208 for the session. Closest was Bayliss, who went within 0.038 second of equaling the time on his last flying lap, with Waters third and Wagner fourth. With the final session of the two days approaching, a massive blackout hit the Island after a tree came down on a power line, shutting off power to the track and thus power to tyre warmers and other equipment in the pit sheds. As such over half the field of Superbikes decided to pack up for the day, including Daniel Falzon and Glenn Allerton. 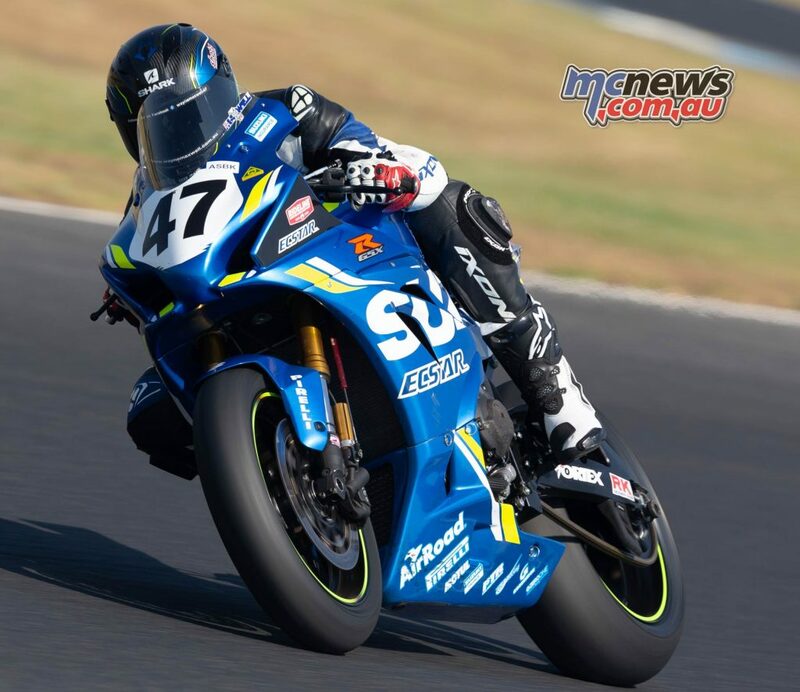 After the final 25 minute session with the remaining riders – and a red flag delay after Mark Chiodo crashed at Lukey Heights for the second time of the weekend – it was Aiden Wagner who was the fastest from Maxwell, Halliday, Waters, Mike Jones and Bayliss. 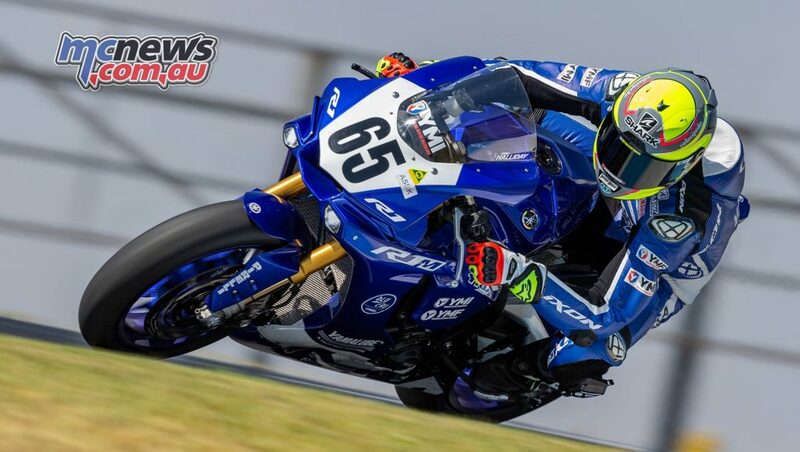 While there are no prizes for being fastest at a test there is certainly a form guide we can take away, especially with the first round of the Australian Superbike Championship at the same venue in a little under three weeks time. 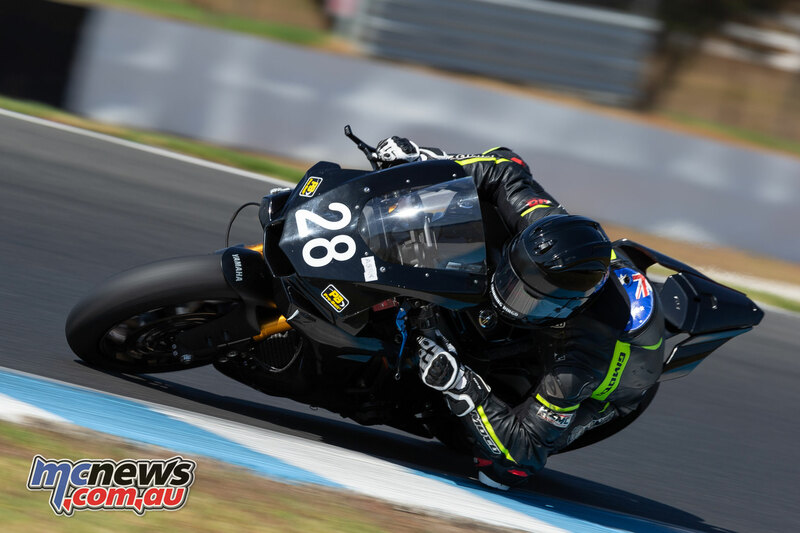 There may be the usual bunch of street fighters that have battled out the championship over the last couple of years at the front of the field, but Aiden Wagner has certainly made a few sit up and take notice. 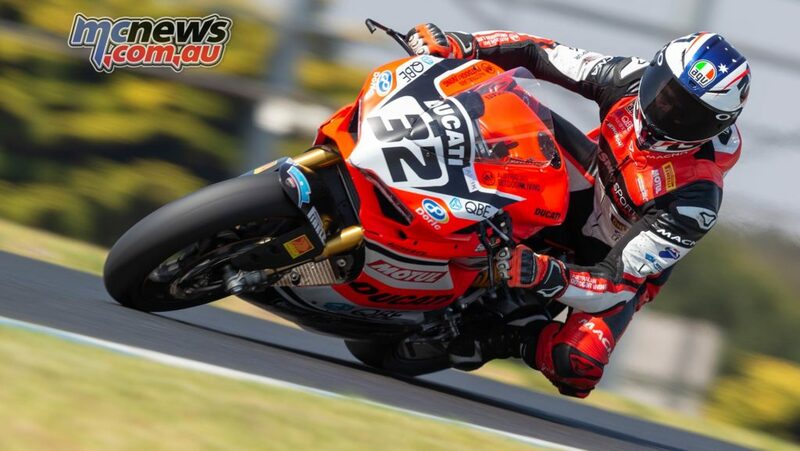 The 25-year-old Queenslander was never out of the top five during the two days and his consistency in lap times was impressive. Also when you peek into the pit box of the Landbridge Transport/Wagner Soil Testing Team and see what isn’t there, it makes his effort even more outstanding. 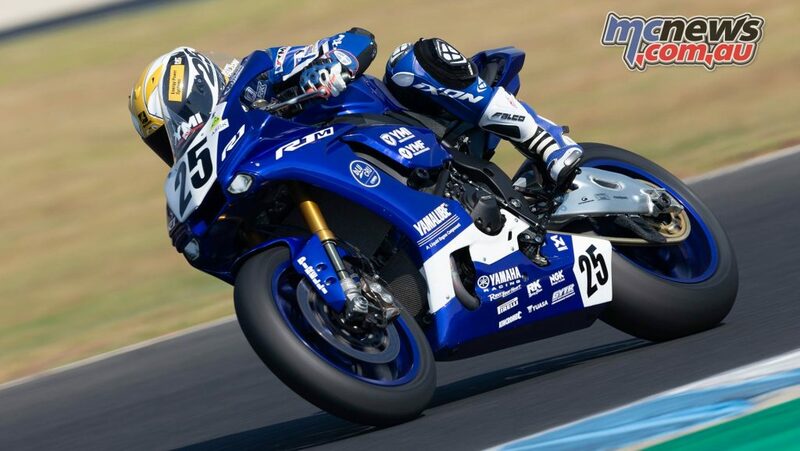 It is very much a true privateer team with good personnel around him and while the focus will be on the manufacturer teams, just keep an eye on the #28 Yamaha R1 of Wagner. He will be ready to pounce, and he is certainly ready to win.